M.E. Lorde - Author Bio- Author M.E. Lorde grew up in the rural community of Victor, NY, surrounded by farms, orchards, and the Finger Lakes, with miles of grape vineyards in neighboring towns. M.E. Lorde wanted to be a writer from an early age. She wrote her first book at the age of ten – a story about a bird, called ‘Babbly’.M.E. has raised four children, primarily as a single parent. Writing was put on the back burner while she worked two unrelated jobs for many years.Her first book series 'Tolomay's World' was conceived while she was standing on her front porch. Nearly the entire seven novel series came to her in its entirety as she pondered the possibilities of those characters. The story is a dystopian/romance/fantasy involving our Earth, its slow destruction, and how humanity can begin anew. There are small elements of sci-fi sprinkled in the story after all it does take place in our future. 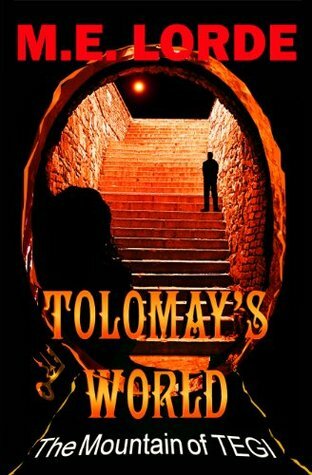 However, Tolomay's World is still an earthy fantasy collection, rather than a sci-fi series. It's language is a bit quirky and flows delightfully as the plot carries its readers into a new world. The first book of the seven novel series, 'Tolomay's World and The Pool of Light' was published in 2012. It's main character, Tolomay, is a pure soul, ever intent on protection and peace for all. She soon discovers that's easier said than done.​The second novel, 'Tolomay's World and The Mountain of Tegi', was published in 2013. To date, four of the seven book series have been published ('Tolomay's World and the Splitting of the Trunk' 2014, Tolomay's World 'The Wall' 2016), with the fifth to be released in late 2017.M.E. also wrote, illustrated, and published a children's book against bullying in 2008.​In March of 2017, M.E. Lorde published her first Contemporary Romance 'Devin's Chance'.​It's her hope that her writing touches her reader's hearts, that she can affect the greater good of humanity through her writing.